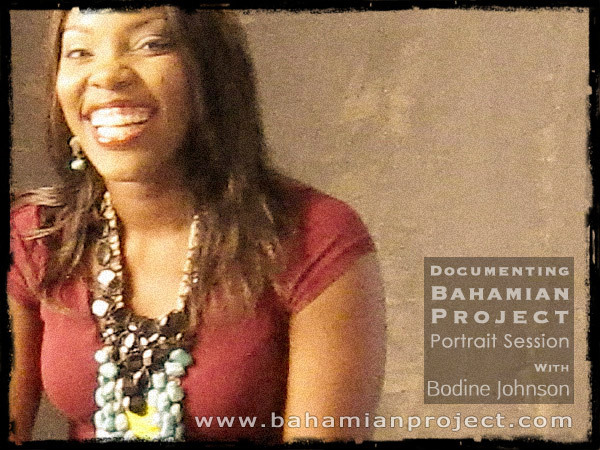 This picture of Bodine 'Be' Johnson was taken right after her portrait session for the Bahamian Project. The final portrait images will be unveiled at the Exhibition Opening at the National Art Gallery of The Bahamas on July 11, 2013. She’s gorgeous, curvaceous, talented, successful… and she’s funny. She doesn’t even try to be, it just comes out in the witty, quirky things she says and when she talks to herself in accented voices. She will make you laugh, but don’t take her lightly. She is much more than a pretty face – she is one of The Bahamas’ most vibrant and in-demand female performers. 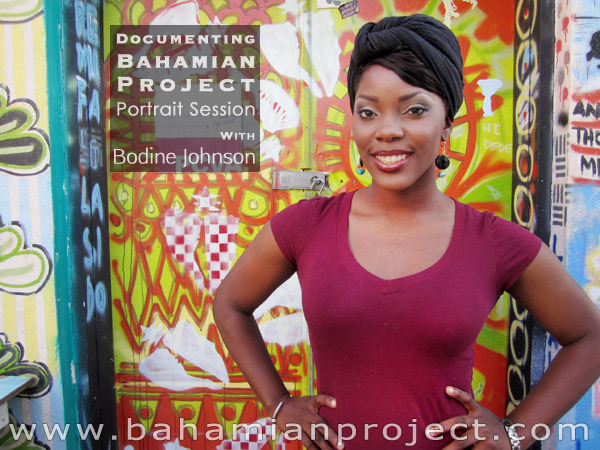 This picture of Bodine Johnson was taken before her portrait session for the Bahamian Project. The final portrait images will be unveiled at the Exhibition Opening at the National Art Gallery of The Bahamas on July 11, 2013. Fearless, ambitious and focused, ‘Be’, as she is popularly known, says she has been an entertainer for as long as she can remember. She has opened for international acts such as Sheila Rae Charles, Vaughn Anthony and Jagged Edge. She has performed on the same stages as Taurus Riley, Lady Saw, Gyptian, and many more. Bodine is a poet, writer, songwriter, singer, director, radio and television host and businesswoman. “I like to keep my hands busy,” she says laughing. Along her way she has gained experience as a model, actress and fashion designer. In fact, she has aspirations to become a fashion icon… the Carmen Miranda and Josephine Baker of The Bahamas. She is also a junior high school teacher. “Think it, start it, follow through, finish it,” says Bodine. That’s her motto and it’s the key to success.